When Kurt, City Manager of the City of Kirkland opened a Vera Whole Health clinic, he experienced firsthand the power of an on-site clinic . . . as a patient. Near 50 when the clinic opened, Kurt remembers, “I was overweight and had pretty high blood pressure. I was somewhat aware of these things, but not really.” Wanting to set a good example, Kurt made an appointment to get his biometric screening and have a consultation with his Vera provider. The screening and lab results verified what Kurt anticipated. His blood pressure was too high, and his cholesterol numbers didn’t look good. Kurt chose to get healthier. And he set a goal he called “25 by 50”, referring to losing 25 pounds by the time he turned 50. “Vera helped me understand what I was doing to myself," Kurt continues. 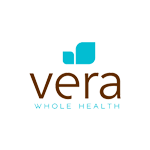 "That started me on a journey to get healthy and led me to a conversation with the Vera Whole Health coach." But something still wasn't right. Something still prevented Kurt from achieving his goal of getting healthier. It took talking to his Vera health coach for Kurt to figure out the roadblock: simple economics and perspective. “I have a frugal mind-set. I grew up in a big family where there was a real focus on value products,” says Kurt. In the case of food, he couldn't justify paying more for a carton of berries or fresh salmon when a bag of dry pasta costs a lot less. But through the help of his Vera health coach . . . Kurt realized he needed to give himself permission to invest in his health. Since that day, Kurt has lost 50 pounds. He's also lowered his blood pressure and cholesterol to normal ranges. Even better: he's inspired others. Not long after his first coaching session, Kurt’s wife joined him on a healthier diet. As a City Manager, he’s acted as an advocate, sharing his story with fellow employees during fireside chats, hoping that he might be able to cultivate a shift in perspective that others need to fuel their own journeys to better health. Learn more about the power of behavior change and health coaching. Check out our eBook: Sick Care Is Doomed To Failure.